Iran has a long history of disrupting maritime traffic in the Strait of Hormuz and Persian Gulf, but should a recently resurrected deal between Russia and Iran for the S-300 surface-to-air missile (SAM) bear fruit, Tehran could soon project the same hostility into the skies. Despite assurances from Russia’s Foreign Minister that “[t]he S-300 is exclusively a defensive weapon,” the system gives Tehran much more than just deterrent capabilities. Therefore, Washington must invest in ways to prevent the SAM’s sale from altering the balance of power in the Persian Gulf. To date, Iran has not received the air-defense system it had ordered from Russia in 2007. In 2010, United Nations Security Council Resolution 1929 threw a wrench into the transaction. Despite a loophole in the United Nations Register of Conventional Arms, Russia – likely under Western and Israeli pressure – appeared to take note and paused the deal. However, after the recently declared framework for a comprehensive nuclear accord with Iran, Russia ended its voluntary embargo on the S-300. 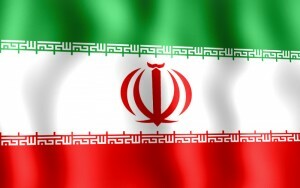 Recent reports indicate plans to provide Iran with newly produced missiles as opposed to existing inventories, perhaps prolonging a delivery date. But there are, in fact, multiple variants of the S-300. The S-300PMU1, which Russia and Iran agreed upon in 2007, was developed nearly two decades ago as a long-range SAM with the ability to shoot down aircraft or cruise missiles some 90 miles away. In 2013, Russia offered Iran a different model – the S-300VM – to avoid an Iranian lawsuit over the 2007 deal. The VM can better intercept ballistic missiles within 25 miles and can strike aircraft more than 120 miles away. In addition to their missiles, the varying S-300 systems include advanced radars which can detect and track some 200 aerial targets as far as 150 miles away. Should an S-300 battery be placed on Iran’s southern coast, Tehran could quickly detect American or allied aircraft taking off from local bases. Not only would most modern strike aircraft be vulnerable to detection and engagement far before reaching Iranian shores, the S-300 would allow Iran offensive capacities beyond its airspace, which could include harassing non-hostile aircraft flying over neighboring countries. As analysts have rightly noted, civilian air traffic could be dramatically disrupted if Iran chose to expand its belligerence to the skies. Suppressing this offensive aptitude would require the use of electronic warfare capabilities, such as those found in the U.S. Air Force’s EC-130H Compass Call, or the Navy’s EA-18G Growler against the platform. The top priority for the U.S. should remain pressuring Russia diplomatically to terminate the S-300’s sale. Concurrently, the U.S. must continue to support the development of technologies and tactics to disrupt, deceive, and destroy sophisticated air defenses. Prominent American examples include the MALD, JASSM, and Tomahawk Block IV missiles, as well as stealth and electronic attack aircraft. Because the S-300 requires multiple components to function – including search radar, targeting radar, command vehicles, and launchers – it does not have to be completely destroyed to be neutralized. The sale of such tools to U.S. allies in the region should also be entertained. The S-300 would be a dramatic step forward for Iran’s patchwork of domestic and foreign-made SAM systems. Currently, Tehran is armed with as many as six S-200 SAM batteries, which can engage aircraft at distances beyond those of any S-300 variant. However, the aging S-200 is non-mobile and could be easily detected and destroyed. Iran’s additional layer of short-to-medium range air defenses consists of 40-year old British Rapiers, Chinese HQ-2s and HQ-7s, as well as domestic replicas of the U.S. Hawk missile. Iran even claims to have developed a stand-in for the S-300, the Bavar-373. However, many of these systems have only appeared in military parades and there are reasons to doubt their effectiveness. Currently, Iran’s most modern system is the short-range Russian TOR-M1, which is highly effective against precision-guided weapons like cruise missiles. Along with the S-300, the TOR-M1 is mobile, making it difficult to both locate and destroy. Should Iran receive the S-300, it would also likely “layer” its defenses, creating rings around high-value targets like nuclear facilities and military installations. In a hypothetical scenario, the S-300 would play a key role in pushing back enemy support aircraft while short-to-medium-range systems would engage conventional fighters and cruise missiles. This means the tankers, airborne jammers, and intelligence, surveillance and reconnaissance aircraft essential for America or its allies to conduct aerial operations deep inside Iranian airspace would be severely hindered. The S-300’s formidable capabilities do not, however, make Iran’s air-defenses immune to all threats. Both Israel and the U.S. have experience training against Western-acquired S-300s. And although both air forces have yet to face an S-300 battery in combat, there is little doubt they would be able to counter the system. The S-300’s real threat, however, will remain Iran’s ability to expand the same aggression and disruption we have witnessed in the Persian Gulf to the air traffic beyond its borders. Patrick Megahan, editor of MilitaryEdge.org, is a research analyst focusing on military affairs at the Foundation for Defense of Democracies, where Behnam Ben Taleblu is an Iran research analyst. This article originally appear in The Hill’s Congress Blog.